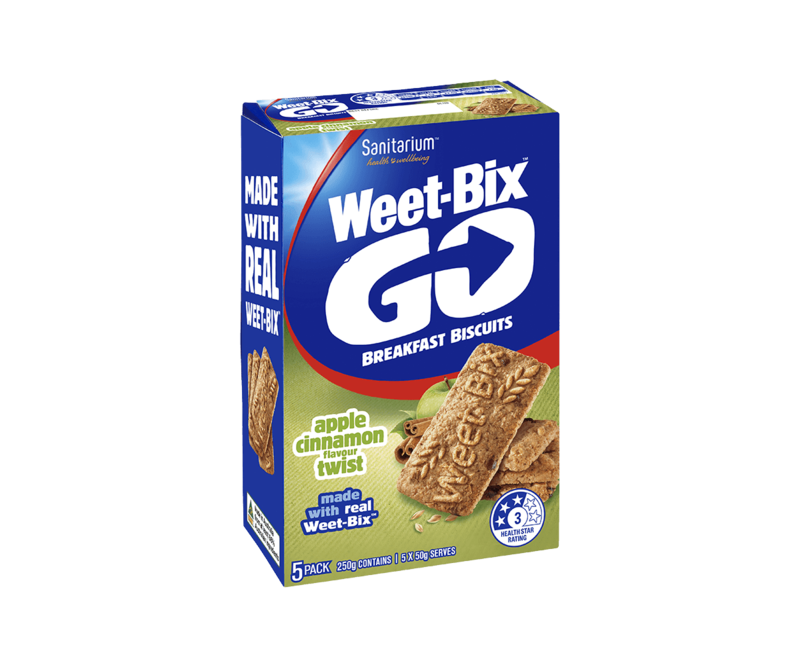 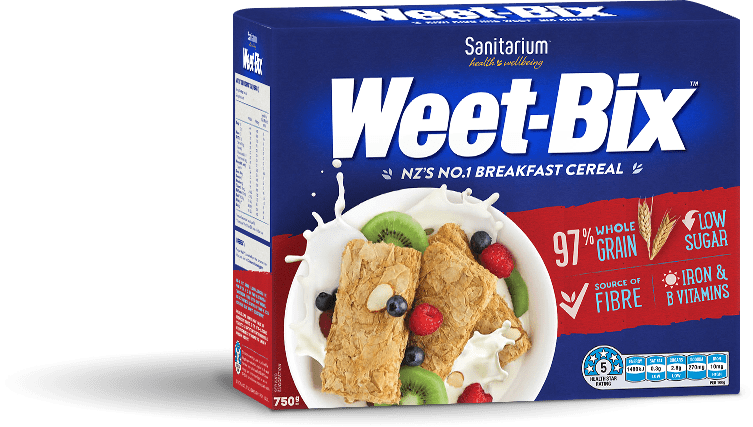 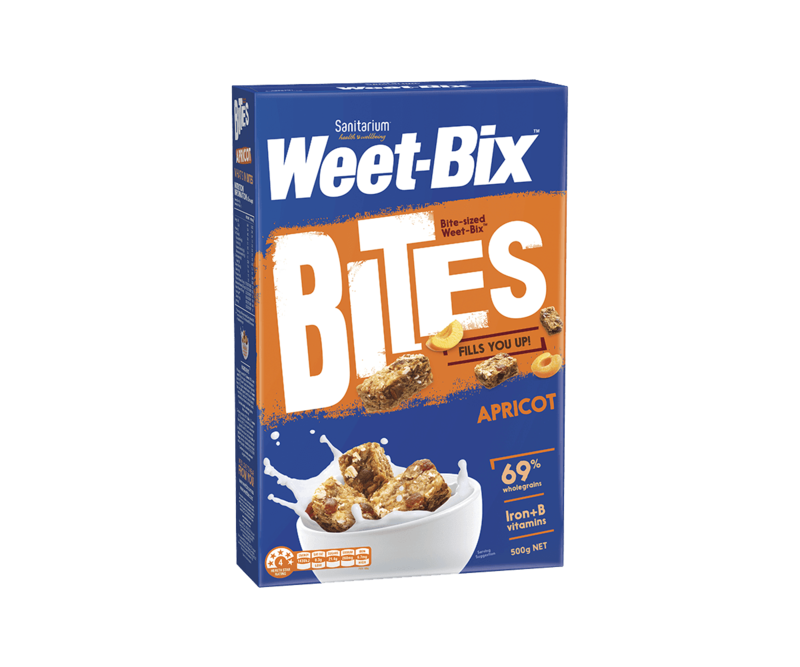 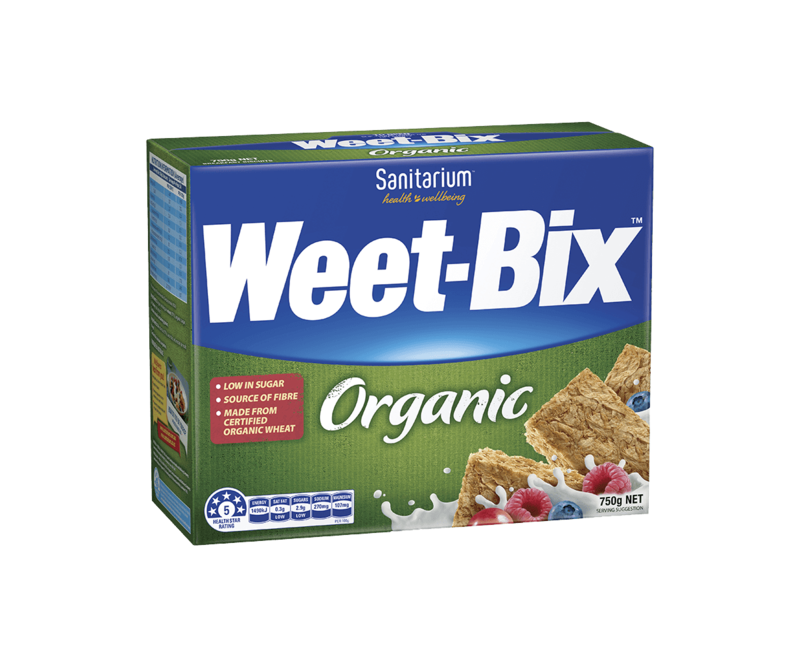 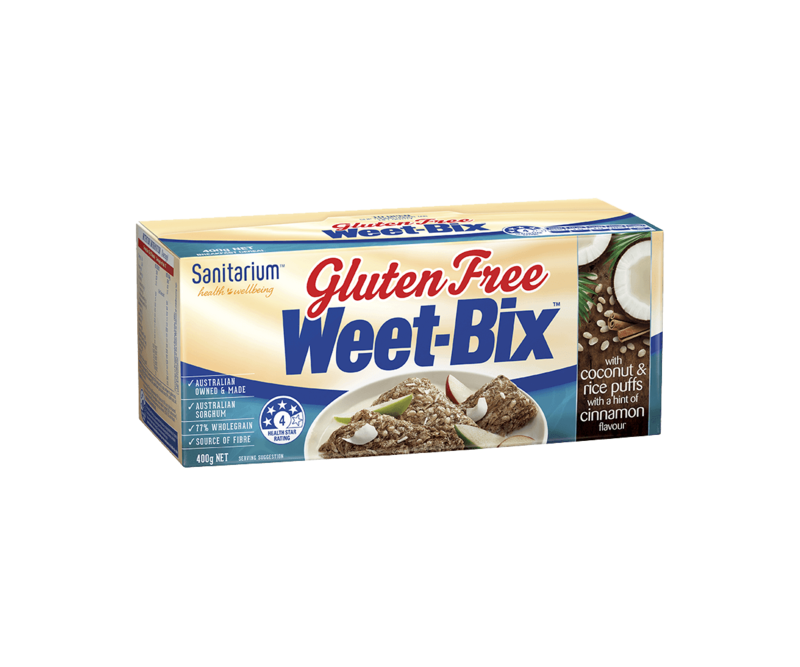 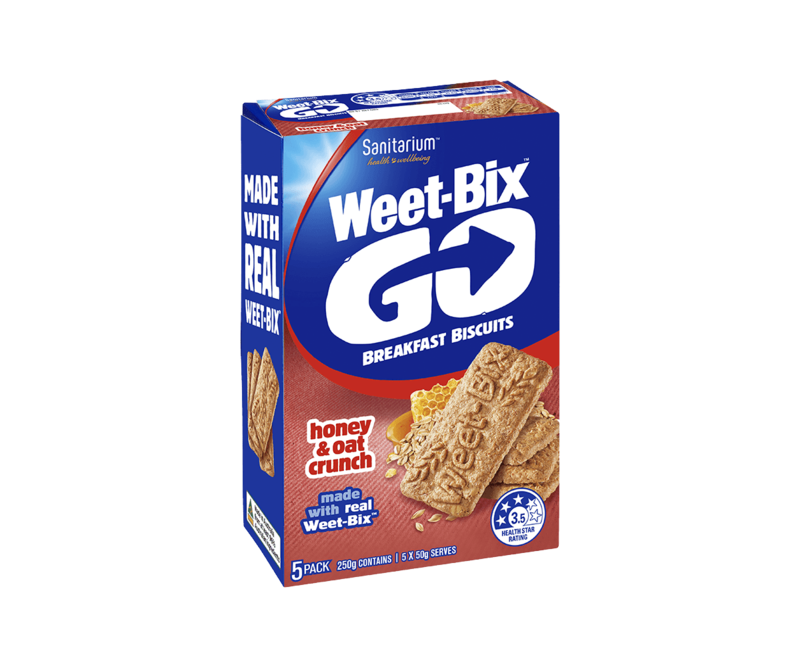 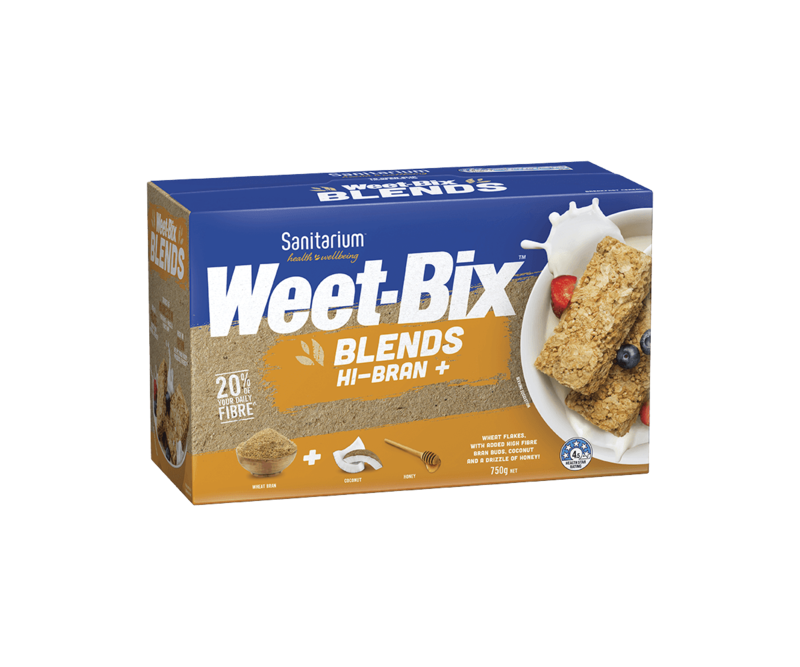 Weet-Bix™ Blends Cranberry & Coconut from Sanitarium New Zealand contains the goodness of wholegrains, and sweetened cranberries, blackcurrant fruity pieces, currants and coconut for a delicious start to the day. 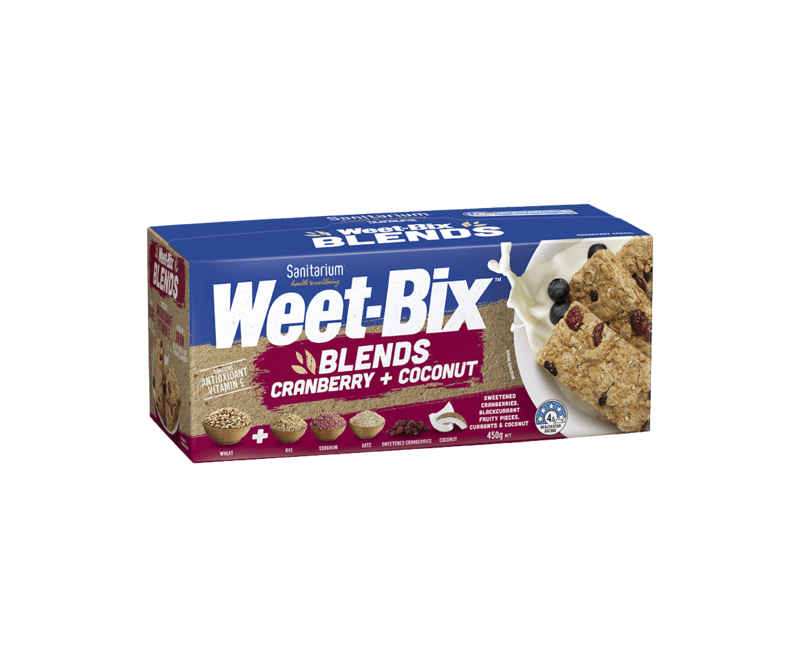 * One 37g serve of Weet-Bix™ Blends Cranberry + Coconut contributes 58% towards the Grains & Legumes Nutrition Council™ 48g Wholegrain Daily Target Intake. 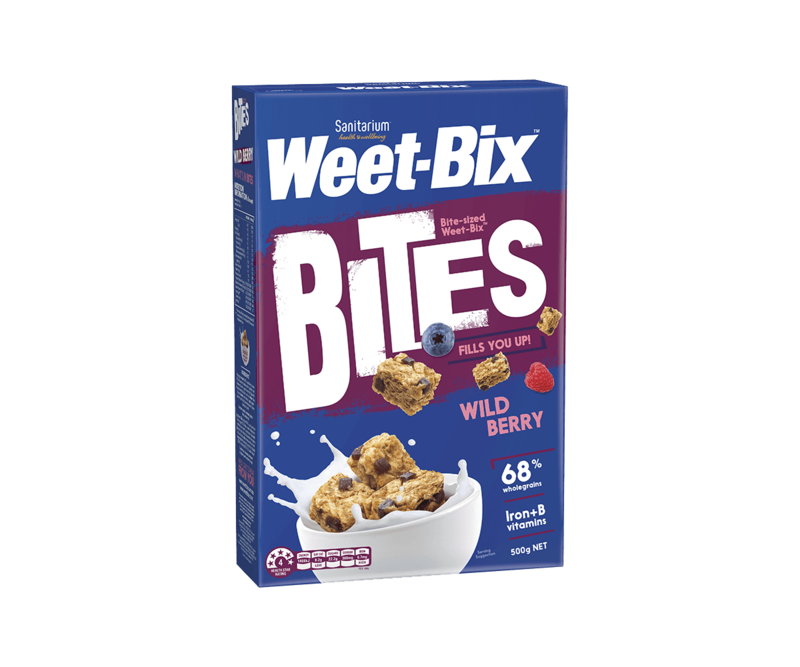 Wholegrain cereals (78%) [wheat (48%), rye (14%), sorghum (14%), oats (3%)], sweetened cranberries [cranberries (1.5%), sugar, humectant (glycerol), acid (citric)], blackcurrant fruity pieces [blackcurrant puree (0.5%), concentrated apple puree, invert sugar, humectant (glycerol), sugar, wheat fibre, gelling agent (pectin), acid (citric), natural flavour], currants (3%), sugar, desiccated coconut (2.5%), wheat bran, barley malt extract, salt, maize starch, natural flavour, vegetable oil, honey, vitamins (E (contains soy), B3, B1, B2, folate), mineral (iron).